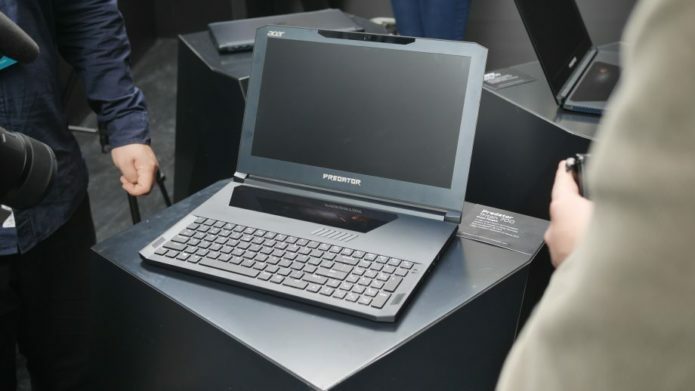 When it comes to raw specs, the Acer Predator Triton 700 sits pretty high atop the gaming laptop market. There is so much power packed into an impossibly thin chassis here – it’s an impressive triumph of engineering. That said, it’s not unique for a high quality laptop to be both thin and powerful. 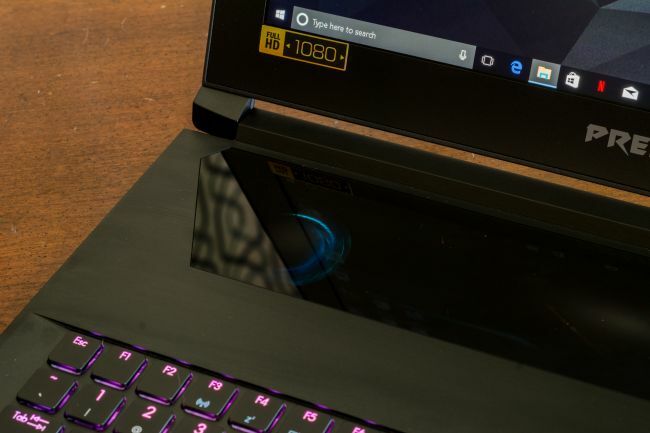 For instance, the Asus ROG Zephyrus is slightly thinner and packs similar hardware inside, while the Alienware 15 R3 is comparatively much thicker while offering slightly less in the way of power. Both the Zephyrus and the Alienware beat out the Triton’s $2,999 (£2,999, AU$4,999) price tag while including arguably better screens. Both of the Triton’s competitors have displays with 120Hz refresh rates, but all three laptops have G-Sync enabled displays to cut down screen tearing. The Triton 700’s jumping-off price is $1,999 (£2,999, AU$4,999). That drops the graphics card down to a GTX 1060 6GB and cuts the RAM in half, but otherwise they’re identical machines. The entry level model isn’t available in Australia, so, if you really want one, it will set you back AU$4,999. In the UK, the available models aren’t yet for sale, but they’re identical to the US, with the exception of the higher-end Triton having 1TB of storage. 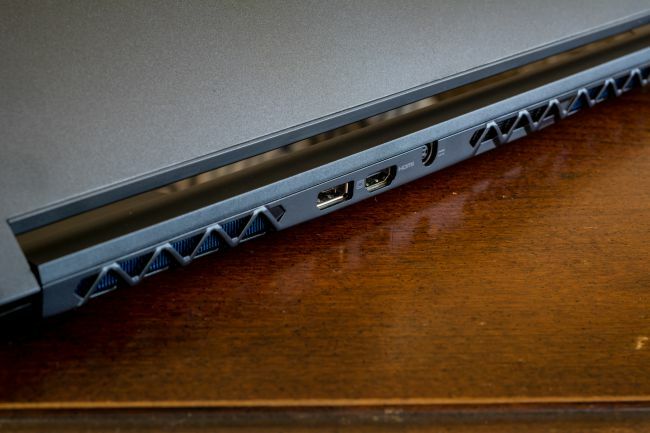 Value-wise, the Triton runs neck and neck with the Zephyrus and Alienware. They trade some features for others, but none of them really leap ahead in terms of value when up against the other. They’re all enormously expensive, even at their lower-end models. That said, at least the Triton 700 is upgradeable: by removing the bottom panel, you can up the RAM inside to a max of 32GB and the SSD to up to 1TB of capacity. The inside, however, is quite attractive, but simultaneously takes some getting used to. Form follows function, but in the case of the Triton, it’s hard to figure out what elements influenced its unusual design. There isn’t a track pad below the keyboard, like you’d expect to find. Instead, the keyboard runs all the way along the bottom edge and a beautiful piece of glass sits directly below the screen. That glass is the Triton’s touchpad, and it’s positioned directly above the graphics card. In fact, you can see elements of the GTX 1080 beneath it, subtly lit from below. Using it feels wonderful. The Gorilla Glass is familiar to the touch, and fingers glide across it effortlessly. Getting the hang of it is a bit of a challenge, unfortunately. Using it means holding your hand in a unusual way as to avoid the keyboard, and there is no mouse button. Clicks are done through Windows gestures, which require some learning. More times than can be counted, we went for the expected trackpad location, only to come up short. For games that can be played with a trackpad, like FTL for instance, it’s definitely a pain. Instead of shifting a finger down from the keyboard to trackpad like on an ordinary laptop, you need to move your entire arm. Not such a big deal when web surfing, but it’s not fun when playing games. While it definitely looks awesome, having the trackpad directly over the graphics card means it gets hot – extremely hot. In fact, the entire Triton gets so hot under load it’s uncomfortable to touch. It does an admirable job moving heat from both the CPU and GPU, with the included monitoring software showing temperatures in the upper seventies. But all that heat sticks around the body of the laptop itself. It’s not an exaggeration to say we feel uncomfortable handling it when it is running at full capacity. All that heat is moved admirably away from the delicate processors with some pretty loud fans. Watching a movie or playing a loud game at full volume drowns out the fans, but for something like PlayerUnknown’s Battlegrounds, where hearing footsteps is crucial to winning, you’re going to want to wear a set of headphones. The keyboard is phenomenal. Not only does it look great, with dynamic RGB themes rendered bright and colorful, it also feels great. It’s one of the best-feeling laptop keyboards we’ve ever tested. Each key has an incredibly satisfying click to it, and the click itself borders on ASMR. Playing PUBG with the keyboard is an absolute joy, and any game with a WASD control scheme will benefit from being played on the Triton 700. If there’s one complaint, it’s the space bar doesn’t quite feel deep enough, but that’s it. With a GTX 1080 inside, the Triton is ready to handle whatever you throw at it. The available 32GB of RAM is also a welcome touch and, combined with the Core i7-7700 processor and hefty graphics card, the Triton would make an excellent mobile video processing work station, so long as you don’t try to work away from an outlet. When it comes to raw performance, the Triton delivers. 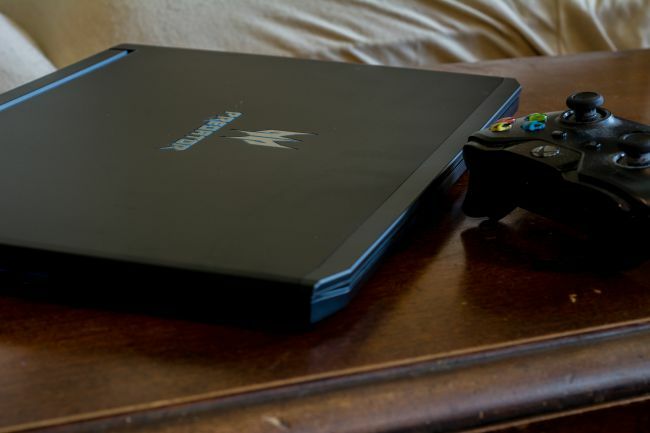 It bested both the Zephyrus and Alienware in every gaming test and only really stumbles on battery life. It’s definitely a capable gaming machine, having no problem running PlayerUnknown’s Battlegrounds. PUBG isn’t the most graphically intense game, but it’s extremely processor intensive, and the i7-7700HQ had no problem keeping up. The mushy textures and pop-in PUBG is famous for never made themselves apparent. Deus Ex on Ultra was the only time the Triton struggled, slowing things down to a paltry 19 frames per second (fps), but on low it comfortably reached a zippy 127fps. Running the Deus Ex benchmark on Ultra settings got the Triton up to its most alarming temperature. We actually recoiled when we touched the trackpad. PUBG and Total War: Warhammer got the Triton hot under the collar, but not to the same extremes. As great as games look, they don’t sound great. The stereo speakers on the Triton don’t have a lot of volume to them, and they lack nuance and range. The speakers produce a flat, almost hollow sound unfitting of a laptop of this price and pedigree. There is nothing exciting or remarkable about them. They sound about as ordinary as the speakers on a budget laptop. It’s a big disappointment. The Triton’s battery is its Achilles heel. In our TechRadar movie test, watching Guardians of the Galaxy on loop at 50% screen brightness and volume, the Triton only lasted 2 hours 6 minutes. The PCMark 8 battery test returned a result of 1 hour 39 minutes, putting it behind the Zephyrus and the Alienware 15 as well. For as mobile as the Triton is, we wish we could take it around without worry of the device losing power within two hours. 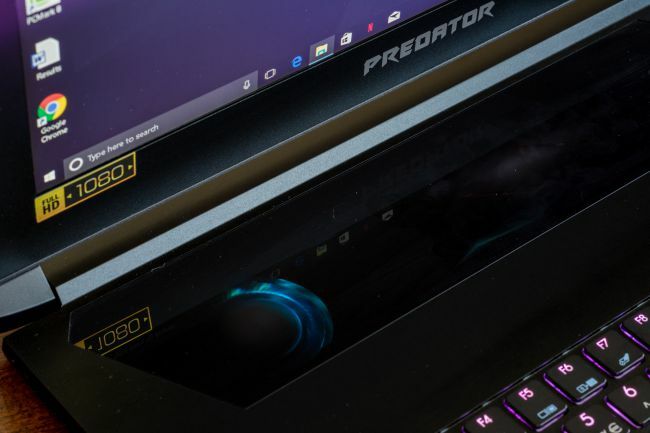 The Predator includes a hardware monitoring suite to adjust fan speed, overclock and make adjustments to the RGB patterns on the keyboard. We left the fan on auto, but full-blast made a noticeable difference in cooling the CPU and GPU. 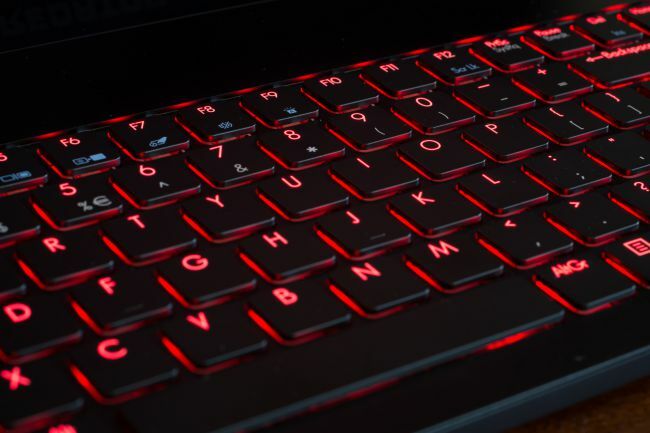 The monitoring software showed a high temperature of 79 degrees Celsius for both processors under maximum load, which was honestly lower than we expected based on how hot the laptop was to touch. For sheer power in a thin laptop, you’d be hard pressed to find something better. The Triton 700 absolutely dominates when it comes to gaming. While the screen is only 1080p, it wouldn’t have any problem with 1440p through an external monitor. The positively sublime keyboard makes gaming an even more enjoyable experience for games with classic mouse and keyboard controls. Just make sure you pack a good gaming mouse in your laptop bag. All that power comes at a hefty price, however, which doesn’t deliver in key areas. This is easily the hottest laptop we’ve tested. It’s so hot that it’s alarming, and while the cooling system does an excellent job making sure the tender components inside are kept at safe temperatures, it fails to keep the rest of the laptop from getting unbelievably hot. Battery life is abysmal, so thankfully the power brick isn’t too bulky, but it also gets really hot while charging. Power and portability in a laptop are both here in satisfying amounts. This is an excellent desktop replacement that doesn’t feel like a scaled-back desktop in terms of bulk. The screen is a joy to look at – despite its resolution for such a price – and the keyboard is phenomenal. From a strictly performance numbers stand-point, this is an amazing laptop. The heat is absolutely concerning. We used the laptop in relatively cool environments and it was still on the cusp of being too hot to handle. The monitoring software gives a little peace of mind, but the first time you touch the trackpad under load, you will recoil. The trade off on heat for all that power is a deal breaker. At $2,999, it doesn’t feel good owning a laptop that feels like it’s on the cusp of heat failure. As the machine ages and it inevitably collects dust, it doesn’t seem like the cooling system will be able to keep up with the massive output. It’s the single most surprising and disappointing problem with an otherwise excellent gaming laptop.